It is one thing to open up a book and see photos of a skyscraper. It is another to construct a tower from wooden blocks. This is one of the options given to students in Plaza Middle School’s BrainSTEM Collective, an open science, technology, engineering and mathematics (STEM) lab. The lab is housed in the school’s library and available to students and teachers at any point during the day. Taylor’s BrainSTEM Collective was one of 55 recipients of a Virginia Beach Education Foundation (VBEF) Innovative Learning Grants. 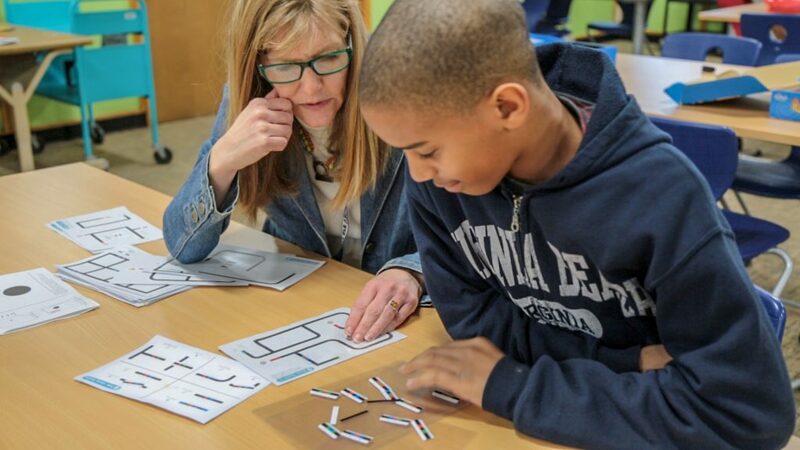 With the funds received from the grant, Taylor was able to purchase the circuit and robotics kits, wooden Keva planks, gravity activities and more for the students to experience while in the STEM lab. For the students, the lab is a place to play. 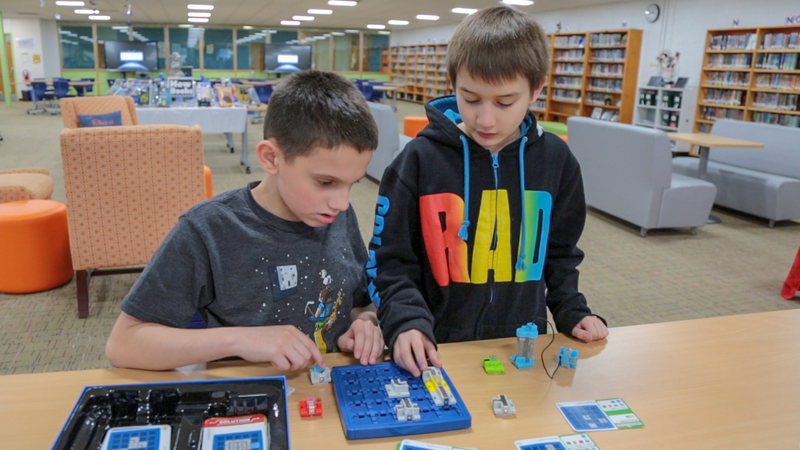 Underwood and fellow seventh-grader, Joseph Santiago-Rivera, chose to play Circuit Maze, a board game that introduces students to electrical engineering. The game allows players to create a real circuit that lights up different colored beacons. These clever circuit-building puzzles provide a boost of brainpower and a wonderful introduction to electrical engineering. “We see this as the future. 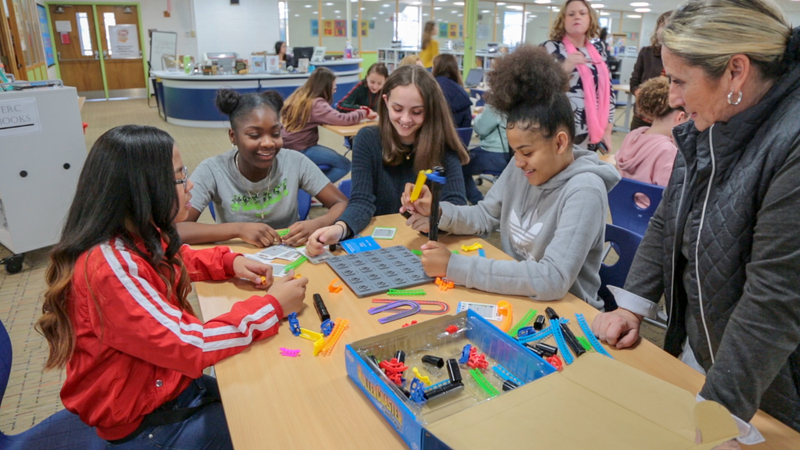 Everything is coding, engineering and technology, so the more they understand how these things work, the better they’re prepared,” said McElfresh. In the two weeks that the STEM labs has been opened more than 130 students have visited. The lab is so successful the school has decided to extend the lab hours after school. Taylor adds she was impressed with the students’ eagerness to learn. Is this Only in Plaza middle, You have any programs for Independence Middle School or Malibu Elementary School in Virginia Beach Virginia. You would have to contact those schools. This was a program that was started by Plaza.